The Victoria Police Blue Ribbon Foundation with the support of our 17 branches, have a long tradition of supporting hospitals throughout Victoria. In fact, the Foundation has just dedicated its 55th living memorial, named in honour of a member of Victoria Police who died protecting our community. Each and every hospital project aims to do just that – remember a member of Victoria Police who died whilst on duty. Pic : Mark Bateman Memorial Helipad – supporting Portland District Health services. 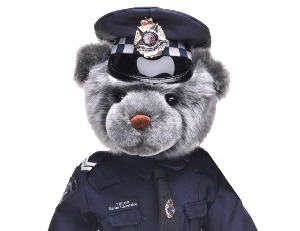 Senior Constable Bateman died in May 2000 along with his colleague whilst responding to an emergency call.